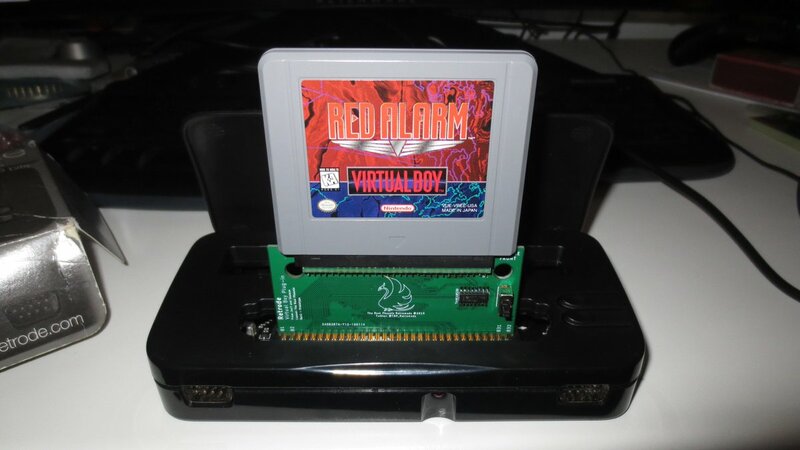 Announcing the public release of the Virtual Boy (VB) Firmware v0.25. This firmware adds the ability to read and write VB SRAM saves. SRAM support requires a modified VB plugin detailed below. I've added other changes to improve VB cart recognition. I also added the "vboy" setting for [forceSystem] in the Config file in case a VB cart is not detected properly. UPDATE (v0.25a): I fixed the support for Sega Genesis/Mega Drive Sonic 3 & Knuckles that was broken in v0.24a. The code changes that added support for Super Street Fighter 2 broke the reads for Sonic 3 & Knuckles. -- SEGA Genesis/Megadrive Fix for Sonic 3 & Knuckles. broke the support for Sonic 3 & Knuckles. -- Added VB SRAM save support. -- Fixed identification of Red Alarm. -- Fixed Galactic Pinball and Mario's Tennis detection. -- Moved VB cart detection ahead of NGP cart detection. Some VB carts were incorrectly detected as NGP. -- Added "vboy" setting for [forceSystem] in the Config file. -- Fixed VB size detection code to work with [forceSystem]. I've been working on a modified Virtual Boy Plugin with SRAM save support. The section with the holes at the top of the PCB breaks off and is used to help align the pins for assembly. I use pins from 1.27mm male right angle pin headers (2 row) and hand assemble them. Great work!! 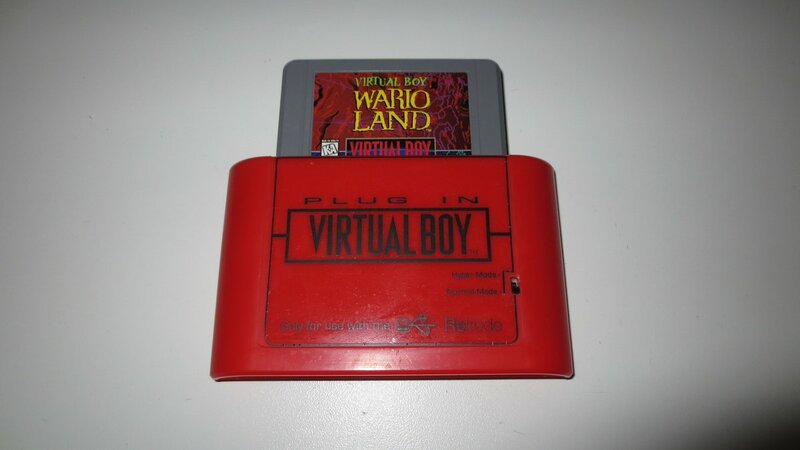 Awesome to see plugins and support for the virtual boy. I have been toying with the idea of creating a plugin for a while now that my personal virtual boy has a dead pixel which results in a solid black line across the screen. Now with a google cardboard headset or a 3d TV you can actually make virtual boy look really nice. I might change the SRAM pinout that was posted as I was asked to support Hyper Fighting. In order to read out Hyper Fighting, I need to free up pins on the Retrode to connect the uppermost address pins on the VB. Right now, the uppermost address pins on the Sega slot are used to control the VB SRAM. I didn't want to use them for addressing as the Retrode uses those pins for configuring other cart types. I'll have to do more testing to find the best pin configuration. I looked for a pinout that would support both SRAM and Hyper Fighting. Unfortunately, support for both is not possible due to a lack of available control pins on the Retrode. I'm going to stick with my current plugin design with support for the SRAM. If the cart is not detected, then use FW v0.25 with forceSystem set to "vboy" and forceSize set to "32". The ROM should be identified as FightingDemo.vb. Pat1986 found a bug in FW v0.24a that broke support for Sega Genesis/Megadrive Sonic 3 & Knuckles. The bug was related to the code changes that enabled reading Super Street Fighter 2. I've fixed the bug and now both Sonic 3 & Knuckles and Super Street Fighter 2 work. I couldn' get the activation message. I put your name and JonY on the PCB since you are both the originals sources for this project. It works with Red Alarm, I'm waiting a Wario Land. But I can't verify Hyper Fighting. There's some stuff I could optimize (some traces I keep in a way I could cut them to rewire if needed). Also for the pins, I need to find a way to copy the original spring-loaded port (someone gave me some pics of the actual VB port. Small update, I made a 3D printed "sled" to force the insertion straight and avoid bending the pins. Please post the info on the Plugins that you plan to assemble. 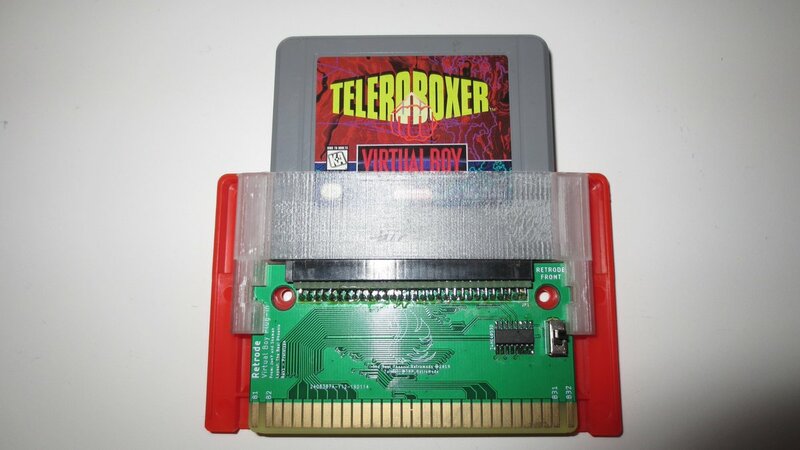 Anyone wanting to use Virtual Boy carts with their Retrode should definitely watch for the info. The hand assembly of the VB Plugins is no joke. It is definitely worth buying one fully assembled.